The images above are some drafts for the covers of my three books. 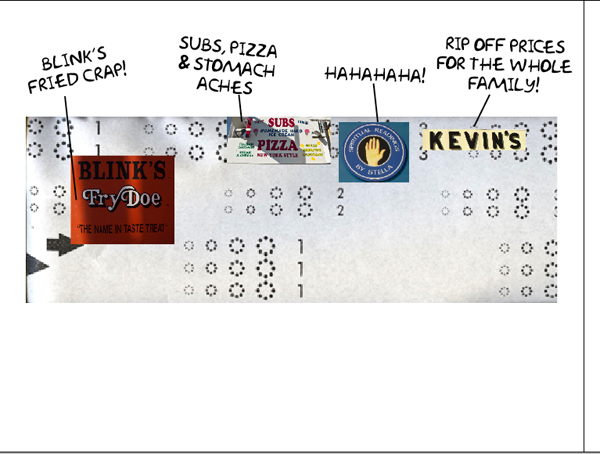 I thought it would work better to keep it simple and consistent with the rest of the layout from the books. I started with a type layout under the front image but then wondered if I had even needed any type on the front at all? I feel it works better alone just on the spine and nowhere else. I am still thinking of different colors I can use or maybe no colors at all for the background? The last image is of the inside title page, no big changes…just something simple that flows along with the rest of the layout. Here are a couple more ideas for the signage book and some possible layouts for the poem book as well. I have been thinking of ways for the poetry layout to seem interesting and not just boring. I also understand that it would be wise to keep the poetry layout in the same format as the other two books so everything stays consistent and feels as a whole within the series. I know that some of the layouts I posted fall out of those boundaries but I just thought I would post everything I have so far. Last Wednesday John lent me a Typography book that had some very good examples of layout and composition for fonts, tables, etc.. the book also had a definition of typography which was “the art of designing letters and composing text so that they may be read easily, efficiently, enjoyably.” With the last image above I thought I would try something different. I took the first letters of certain phrases that I enjoyed from the poem and played around with the type. 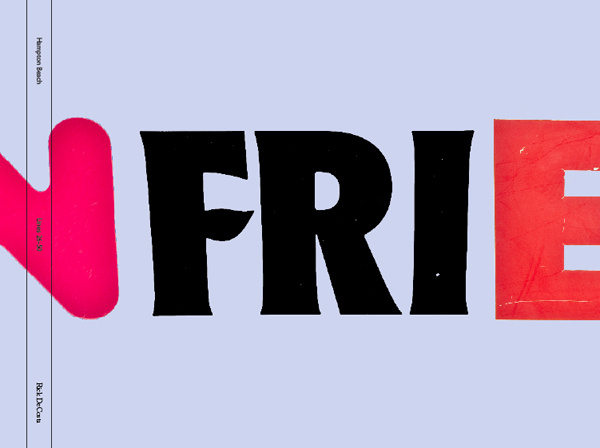 Still using the strip format, I combined the letters so that they almost don’t become letters anymore they become more visual. The only way that this is consistent with the beach is the subject matter and the layout in comparison with the other two books. After my meeting with John last Monday we discussed the different content that I would include in my three books. 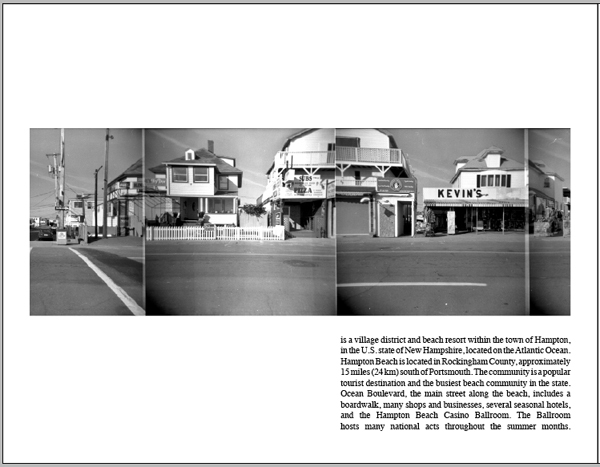 One book is of the black and white panoramic images, another is of the typography from certain buildings, and the last is the poem of Hampton beach from John Greenleaf Whittier. We discussed that the layout for each book has to be consistent with the others so that they can all work as a series and alone as well. We also discussed something else to bring into the book, a number system which can help the viewer locate the address and name of the buildings. This can be seen in the second and last pictures. This is not my final layout of this but just the basic idea so far. The numbering system would act as an index in which the viewer can take the number and find out the address and name of the location in the back of the book. I discussed my idea with John Colan as well and he mentioned that it might be interesting to include thumbnails in the back as well, just so one can remember what image they retrieved the number from. I have the poem layout up sometime before Mondays class so everybody can see how this is working as a whole so far. It’s going to be a hectic next few weeks, but I am really excited to see how this turns out! 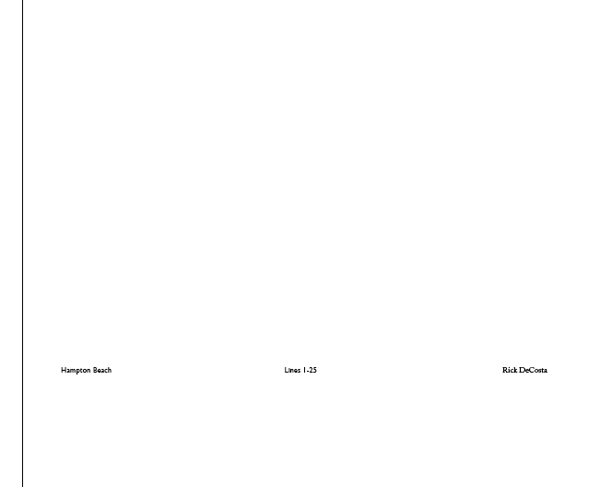 It’s now time to really start working on the possible layout formats for my books of the beach. Yesterday in class, we discussed some ideas of how the books could work together and on their own. One in black and white and the other in color. The color book will contain close up shots that I have taken of either the entrance ways to the buildings or the business signs that hang above the entrance way. The pictures above are a couple possible examples for the spread layouts of the books. The second and last image are the two separate books but can also be used as almost a map or diagram. 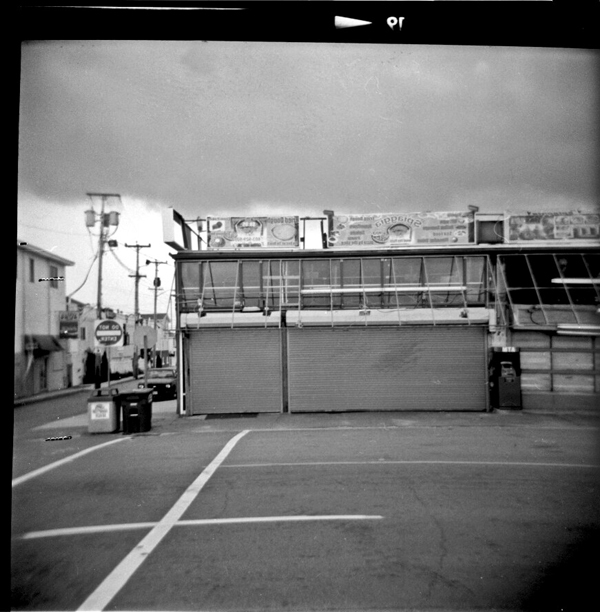 In the second black and white image we have the panoramic view of the buildings on the strip while barely being able to see the signs we can still tell that the buildings are businesses of some sort. The bottom color image contains the signs of the buildings featured in the black and white above it. I have included my own thoughts about the businesses, though I am not sure if I would incorporate this into the actual color book, I thought I would try something different and see what people think. I still have a lot more images to scan in but these are just some of the final ones so far. As you can see, not everything went perfect with the final shoot. The seventh image down has some weird lines going through the center, I don’t know if this happened during the shooting or processing stage. Either way it definitely adds a different effect towards the images. 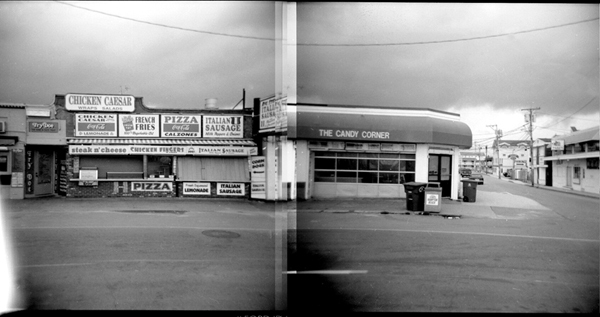 The very last image is a scan from one of the opposite sides of the film that I used. The circle symbols are what you look at when you are advancing the film so you know how close you are to the next image. The numbers represent the frame you are currently on. I thought it might be interesting to take these numbers and use them as the page numbers in my book. And maybe find a way to incorporate the circular symbols as well. Within the next week I am really going to move along to the final overall layout of the book and narrow down the text I plan on incorporating with it. I also took some straight on color shots which can be viewed here, I would like to somehow incorporate these into the other color book. 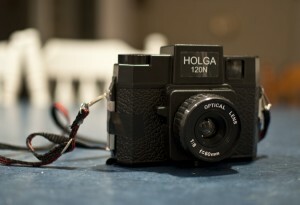 This weekend I finished taking the pictures with my Holga camera. I went down Saturday morning at 8:00 and ended at 11:00. It wasn’t as long as I thought it would take actually, the hardest part was shooting a roll, unloading, and then loading in another roll. Now I just hope everything goes fine with the processing stages and then everything will be good to go. I should have the scans finished by sometime this week. Now I can really start working on the book portion of this project. I still have a lot of ideas for the overall layout, but I believe with the book containing the strip images I am just going to keep it simple so nothing takes away from the pictures. As for the other book with color, I also took pictures of all the signs on the buildings while I was down there. 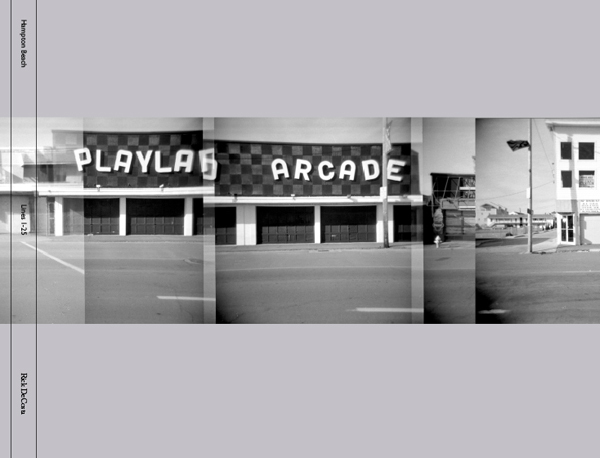 I was thinking of almost making a diagram sort of layout where you can match up the colored signs from the buildings with the black and white holga images. 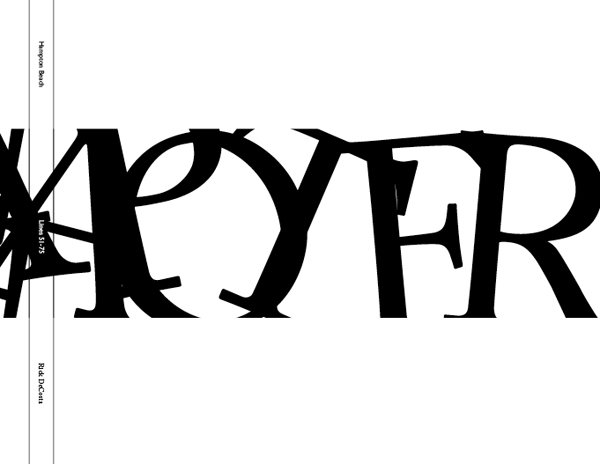 Or find some other way to play with the type. I’m very excited to see how the final pictures came out though. I’ll post them on here as soon as I process and scan them in. This weekend I decided to do one more final test until the actual shoot just to make sure everything went the way I needed it to. With my first attempt, some of my photos came out looking like they were some kind of exposure experiment. The pictures I shot this weekend came out just how I wanted. These were also taken in bright sunlight instead of during the middle of a rainstorm. I’ve been checking a lot of book websites to see what would be my best possible source for a good print job. lulu.com is on top so far, I plan on the overall layout of the book to be more wide than tall. 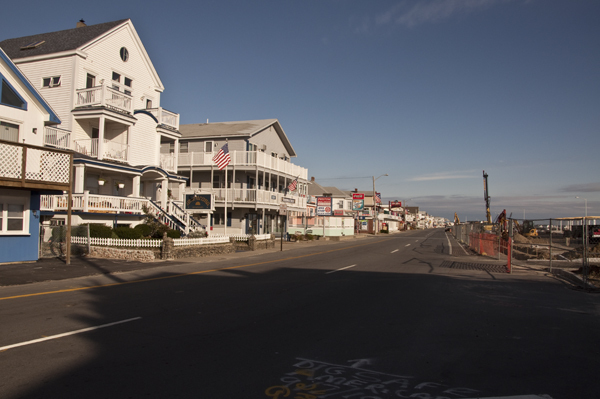 I would like to have the images of the strip run from the beginning of the book to the end, as if someone were traveling on the street viewing the buildings pass by. Within the next week I’m going to gather up all the poems and historical information I can find, and then sort everything out and decide what I want to include for text in the book. As I mentioned in my last post, I went down to the beach last Friday and took some shots with my camera. I didn’t get a chance to process them until tonight. These are how some of them came out so far. I noticed on a few, they came out quite over/under exposed with strangle lines traveling through the image as well. This could of been due to a couple factors, but mainly I believe it was the way I forwarded the film. Also the rainy weather did not help too much I’m sure. 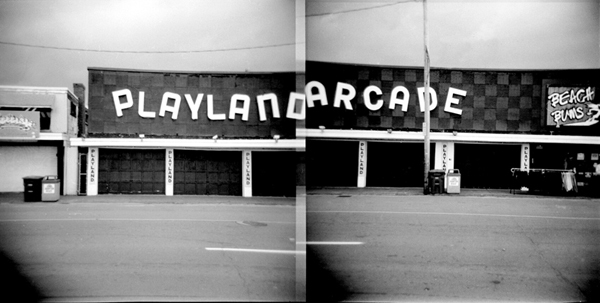 The image of the arcade is what I was aiming for. I’m going to do another test this weekend just to make sure everything is alright with my Holga camera before I start taking the actual pictures for the book. I went down to the beach early this morning and took some shots before the rain arrived. I’ve been doing a lot of thinking about a title for my piece and I came up with the word “Stripped”. I took pictures of the letters on the different signs and collaged the letters together. That’s how I came up with the image above. Each letter is from a different building/company, none are the same. I plan on doing this same technique for the typographical elements of my book as well. 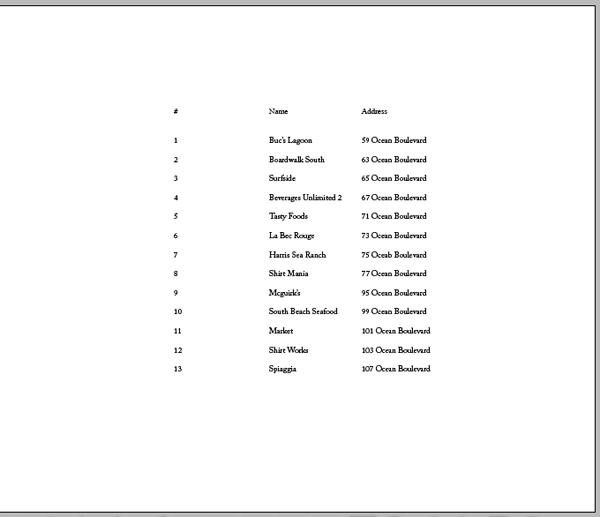 Including page numbers, titles, etc…By incorporating the typography from the beach instead of finding my own in InDesign, I feel that the book will truly represent itself as a part of the beach. I do not want this to look like the everyday average design project. 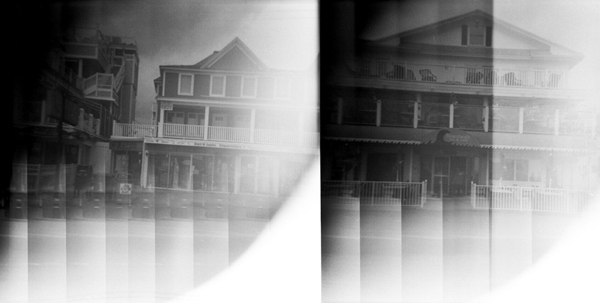 I also did a test run with my Holga camera this morning as well. I took one roll down with me and got twelve shots. 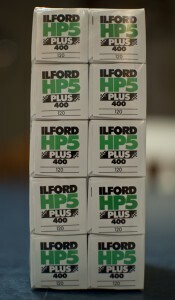 I’m planning on processing the film in the darkroom this weekend and having some examples to show for class on Monday, which I will also post up on here. I took some digital shots as well, they can be viewed by clicking here. So far, this has turned out to be a very fun project for me. I believe it could possibly be because of my connection with the area. How it has something that has always been there but I have never actually really thought about it until now. While I was photographing the buildings I had three different people come up to me and ask what was I taking pictures of and why? I continue to forget that “The Real World” does not see the same things that we may. I’ve been doing a lot of research on different book sites lately. I’ve been trying to figure out if I am going to set this thing up and make my own book, or make up an InDesign document and send it to lulu.com. Within the next week or two I’m going to go down and take the pictures. I haven’t decided if I want people to be included in them or just have images of the buildings. My main goal is to do this all in one take instead of traveling down to the beach multiple times. It would make it quite difficult especially concerning film panoramas. I am very excited to see how everything turns out!